Moscardo, Gianna (2002) Don't know, don't care: the importance of information for visitors to the Great Barrier Reef. In: Laws, Eric, (ed.) Tourism Marketing: quality and service management perspectives. Continuum, London, UK, pp. 159-168. [Extract] The Great Barrier Reef (GBR) encompasses an area of nearly 350,000 square kilometres and stretches 1500 kilometres along the northeast coastline of Australia. The GBR is a world heritage area and contains more than 2900 individual coral reefs and 250 tropical islands. The GBR is also a major tourist and recreational attraction with more than 1.5 million people visiting each year with a commercial tour operator and more than 2 million local residents accessing the area using private boats. A major challenge for the GBR tourism sector is that of achieving sustainability both in terms of the environment and visitor demand for tourism products. 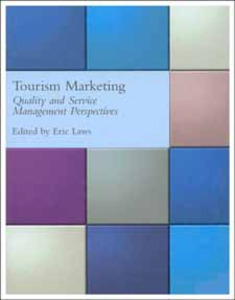 This case study will examine the role of information for both managing negative environmental impacts in this region and for enhancing the quality of the visitor experience and thus contributing to visitor satisfaction.